Anti-surf Platform. Stable both when folded for transport and when opened into work mode. Fits through a standard doorway when folded. Quick and simple assembly using captive deck and stairs. 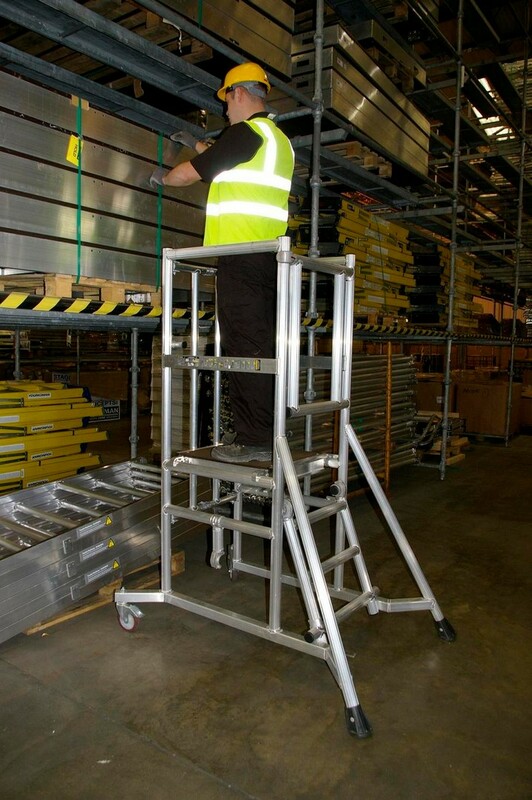 Guardrails to ensure compliance with Work at Height Regulations. Site tough. Easy to transport.